Hello My Name is Mary Nash and I am a Top Producing Real Estate Agent with Century 21 Trident Realty in Dartmouth, Nova Scotia. My family and I as a young girl immigrated to Dartmouth, NS, Canada in the early 70's from Ireland. I grew up in Dartmouth and raised my own family here. I am the proud mom of twin boys who are in the Canadian Armed Forces, and a beautiful daughter and granddaughter. I love the outdoor life and have many interests, such as skydiving, motorcycles, snowmobiling, playing the piano, and travelling, meeting new people and experiencing all that life has to offer. I am an animal lover and am the proud mom of two daschunds. One of my true loves is real estate (and in particular Dartmouth real estate). I chose this path 10 years ago and am enjoying every moment. I have always wanted to be a Realtor®. I waited until my 3 children were grown up so I could devote my energy, time, and hard work into growing my business and looking after my clientele. I have met wonderful people, many of whom remain loyal clients. It gives me a great sense of joy and accomplishment when a former Client contacts me after many years to say "Mary I want to work with you". I am well respected by my colleagues and enjoy helping new Realtors® reach their full potential in this Industry. I have been dedicated to my career and in doing so the rewards that I have been given are unmeasurable. I appreciate all the people I have met over my career and continue to meet and thank you for making my dreams come true and allowing my Dartmouth business to successfully continue year after year. I am a ISRP Certified Designated Home Stager and International Staging Redesign Professional. I can help you sell your home quickly and get the best market price. As a professional home stager, I am able to stage your home in a way to entice buyers by highlighting a home's best features and making your home feel spacious, warm, and inviting inside and out. The staging process involves de-cluttering, depersonalizing, redesigning, improving curb appeal and addressing necessary repairs. My goal is to make the prospective buyers feel they would personally enjoy living in your home . We will make your home look larger, bright, clean, comfortable and inviting. 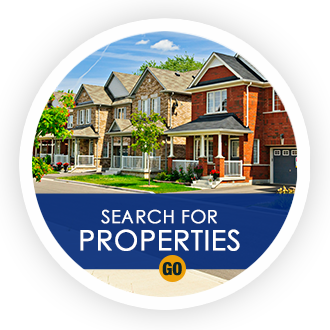 If you are buying or selling real estate in Dartmouth, Halifax, Sackville, Bedford, or anywhere in the area, please feel free to email or call! Hello, my name is Phil Shannon. I was born in Ontario and lived my youth in rural New Brunswick before moving to beautiful Dartmouth Nova Scotia. As a teenager, my family and I moved to Dartmouth, where I graduated from Prince Andrew High. After graduation from high school, I attended St. Mary's University to study the Bachelor of Arts. I'm very excited for the opportunity to work with you and I look forward to helping you with your next sale or purchase of Real Estate. Whether you are selling or buying, I am more than capable to assist you in creating your future. As a CENTURY 21® Real Estate professional, I am dedicated to providing you with the highest quality service possible. My personal knowledge of the local Dartmouth Real Estate market is combined with the power of the CENTURY 21 brand - the most recognized name in Real Estate today. Need a hand with your next Dartmouth, Bedford, Halifax, or Sackville home? Call me! Featured Listing: 140 Causeway Rd.